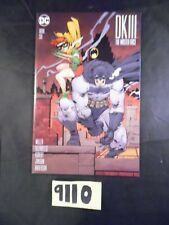 Batman A Death in the Family Starlin Paperback Used Copy. DC-14 100 Page Super Spectacular Batman! Free Shipping. Underdog #1 Blank Variant! Sharp! Batman The Cult #1 #2 #3 and #4 Complete Mini-Series! Superman Batman #8 Variant - Michael Turner Skech Cover!